This is possibly the first bridge of four road bridges over the Western Cleddau, constructed in 1726. See SM9515 : Old Bridge over Western Cleddau for the inscription from the centre stonework. 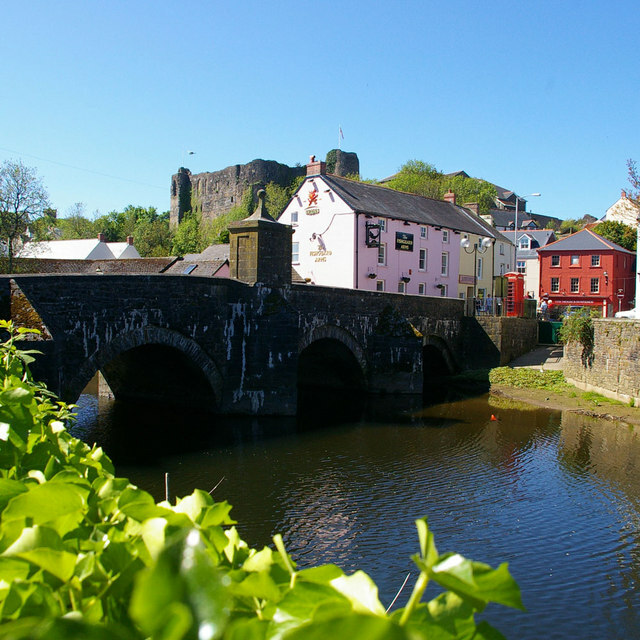 In the background is Haverfordwest Castle.